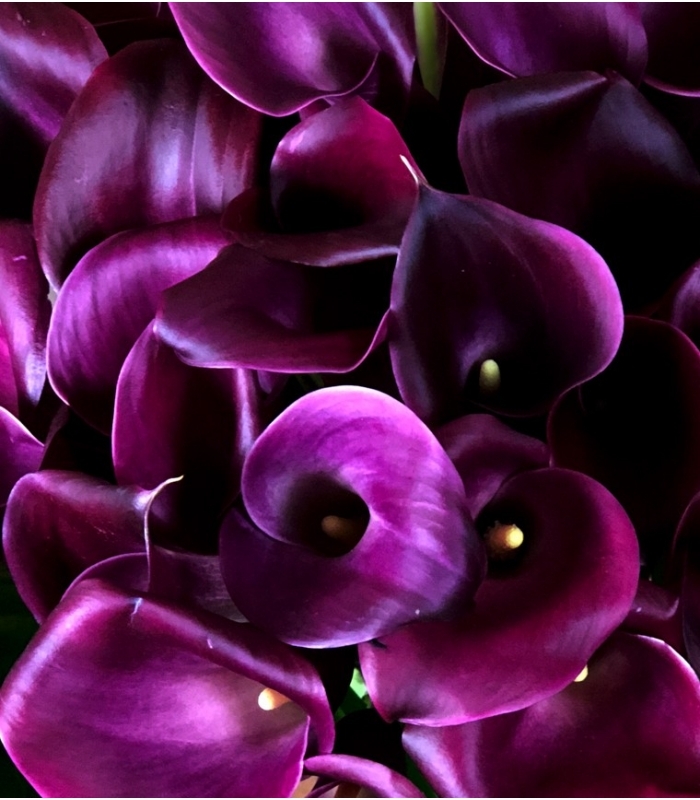 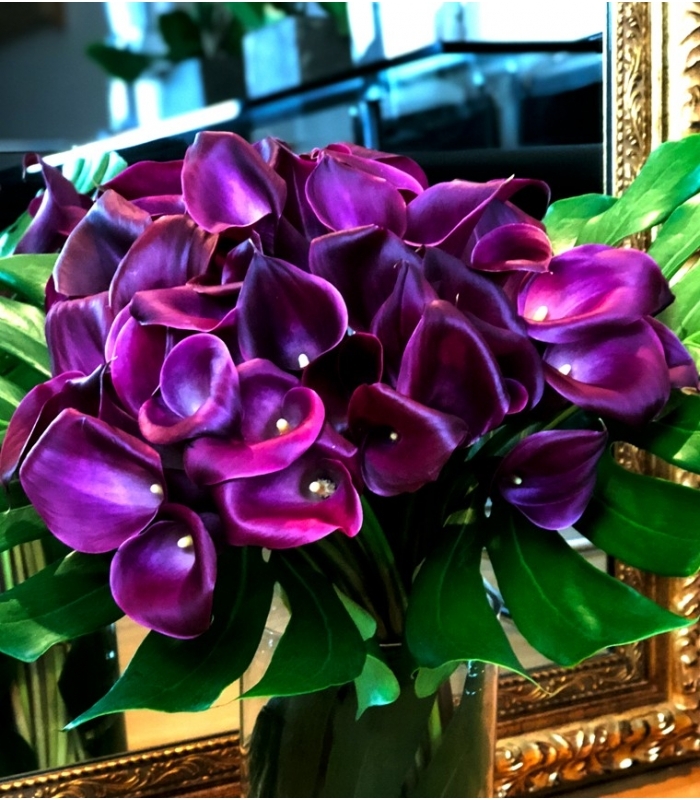 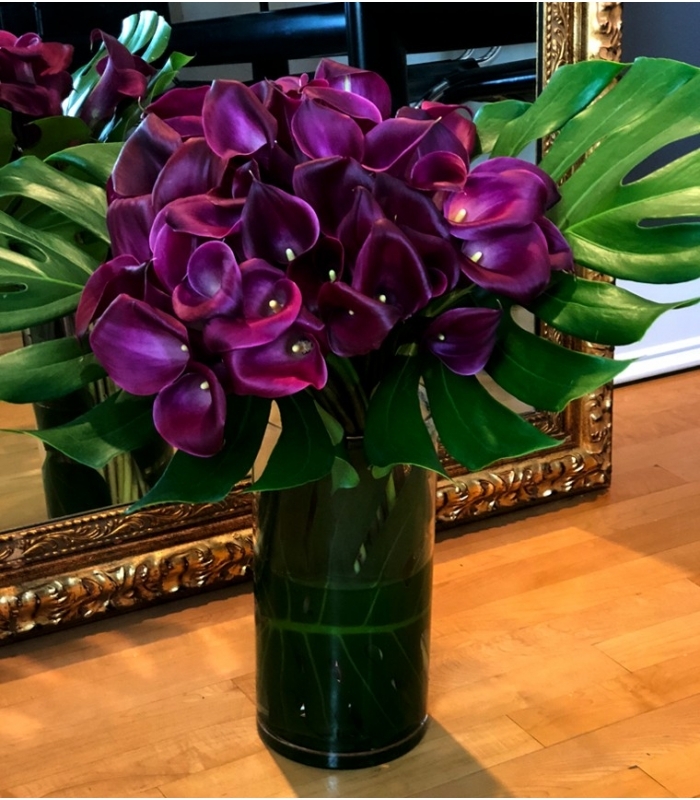 You will be charmed by this sophisticated bouquet of calla lilies selected by our florists for the beauty and shape of their flowers. This luxury purple bouquet is a chic original design, made with tight flowers. 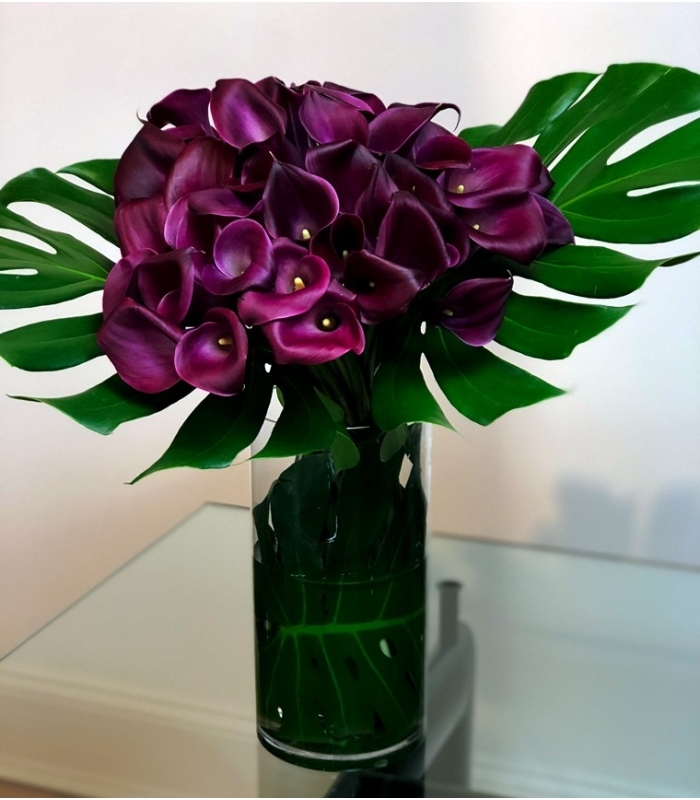 Your bouquet is delivered with a vase in our LUXURY COLLECTION.